Scott Fraser is one of Canada’s top senior swimmers. A competitive swimmer as a teenager, he returned to the pool in 2001 when he turned 50. In 2010, he suffered a stroke, spending the following week in hospital. “It’s been eight years and there’s still a few lingering effects. But I’ve done well, I think, to come back the way I have,” he said. He sat out of the senior games for five years. Finally, Fraser competed again in 2016 at the Brampton games, with his wife restricting him to just the 50 metre race. 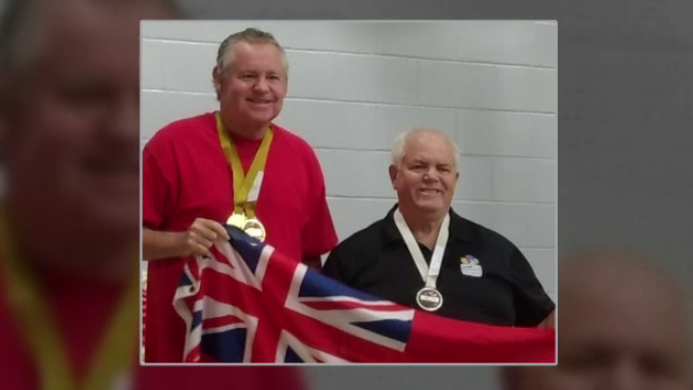 In August, he swam for Ontario at the Canada 55+ Games in New Brunswick, bringing home a gold and three silver medals. “Absolutely a sense of pride that he’s overcome all of those deficits and been able to still medal at each of these games,” said Anne Marie Fraser, Scott’s wife. Scott Fraser was preparing for his next meet by swimming three days a week at 5:45 a.m.
Scott Fraser overcame a stroke eight years ago to become one of Ontario's top senior swimmers.